Queen - Hungarian Rhapsody: Live in Budapest '86 | Style Weekly - Richmond, VA local news, arts, and events. 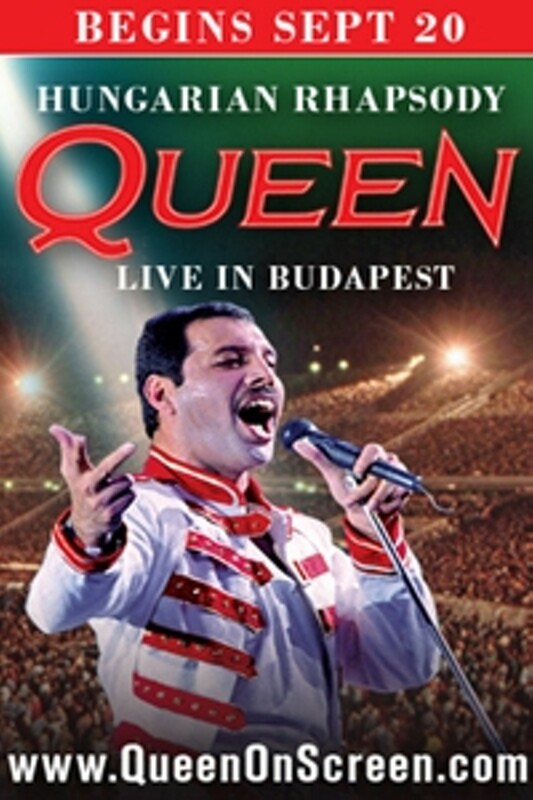 Calling all Queen fans...Now's your chance to watch Queen's momentous concert movie, Hungarian Rhapsody: Queen Live In Budapest '86 on the big screen for the first time. Remastered in high definition and 5.1 surround sound, this cinema event opens with a special 25 minute documentary feature following the legends of rock, Queen, from just after their show-stealing performance at Live Aid through the year leading up to the concert in Budapest. Staged for 80,000 ecstatic fans, the concert set includes favorite hits like Bohemian Rhapsody, Crazy Little Thing Called Love, I Want To Break Free and We Are The Champions. It's a fantastic opportunity to celebrate the magic of Queen at your local cinema. Queen - Hungarian Rhapsody: Live in Budapest '86 is not showing in any theaters in the area.